We've sorted through the good and the bad, the memorable and the monumental from the world of local sports in 2018 to come up with our Top 10 stories of the year. WASHINGTON — What’s the best way to do a year in review? There were individual moments that will stick in the mind, like Bryce Harper’s final blast of the Home Run Derby, or Braden Holtby’s physics-defying save that swung the Stanley Cup Finals. You could pick out only the positive moments, but that would ignore some of the most important stories of the year. In the end, we decided the best way to look at 2018 was to acknowledge all the biggest stories, for better and for worse, from a broader lens. When the Nationals took Bryce Harper with the first overall pick in 2010, just one year after snagging Stephen Strasburg, you could forgive Washington baseball fans for dreaming of the day the two of them would hold a World Series trophy aloft on South Capitol Street. 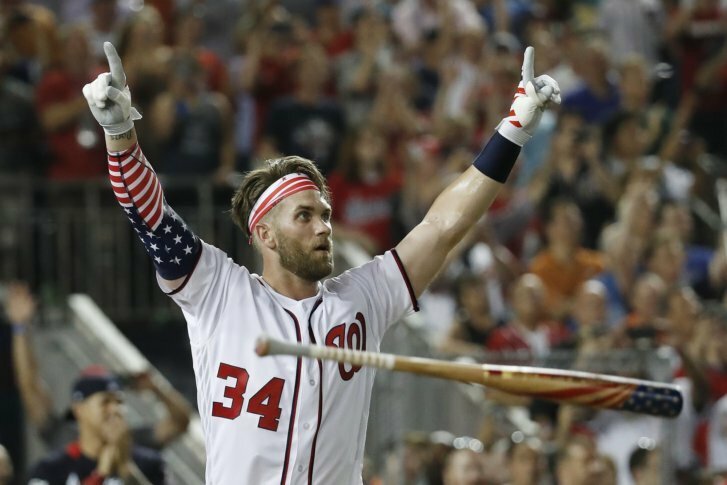 But while Strasburg signed an extension, with Harper hitting free agency this winter, might his high point in D.C. have been this year’s dramatic, Home Run Derby win? It might have given him a symbolic moment in a Nationals uniform, but not a truly meaningful one, having still never won so much as a single playoff series. With his future still in doubt, is this really it for Bryce in Washington?